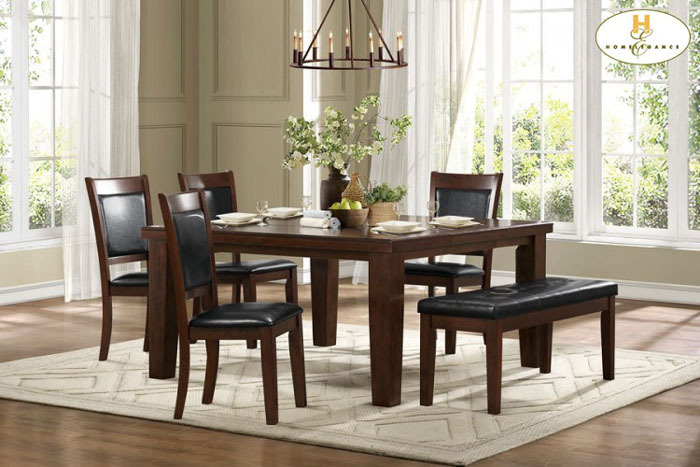 A classic addition to your home, the Weldon Collection provides the tabletop space you need with two options. The tables traditional dining height and counter height each feature an easily stored butterfly leaf and decorative routing. Side chairs are covered with dark brown bi-cast vinyl. 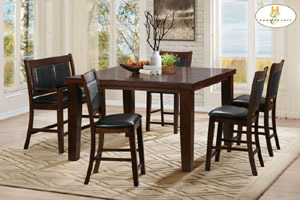 The counter height table has an optional love seat bench available. 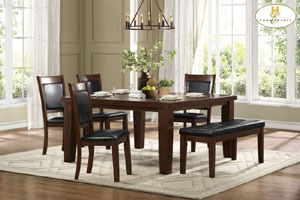 The transitional look of the collection is rounded out with an espresso dark cherry finish in ash veneer.